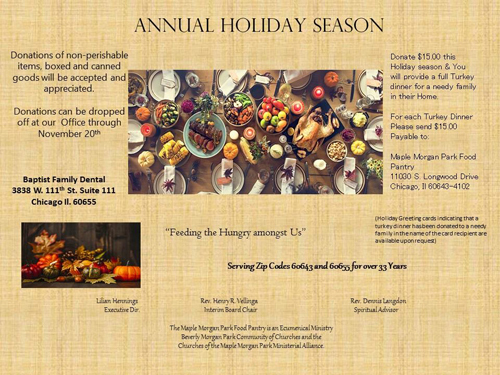 (11/2017) Baptist Family Dental is collaborating with The Maple Morgan Park Food Pantry again to feed the hungry in our community. We will be accepting donations at our office through November 20, 2017. 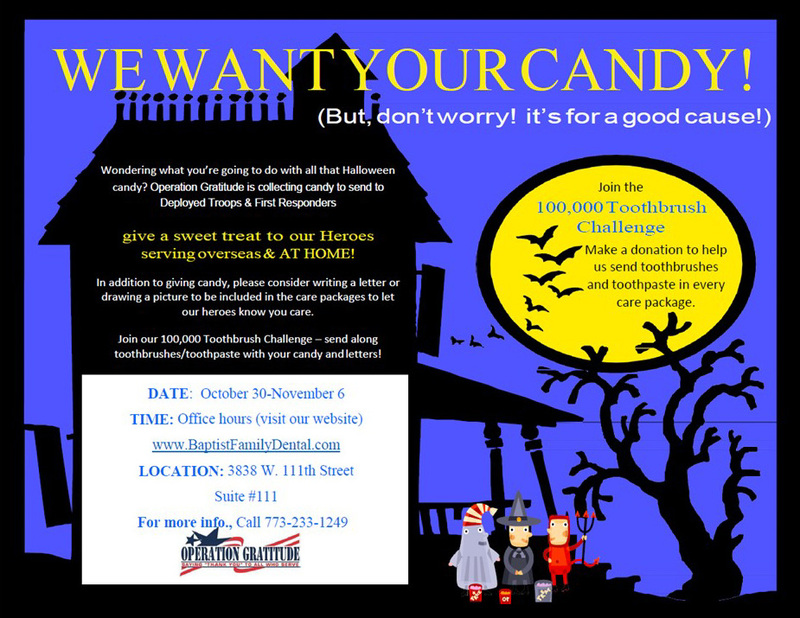 (10/2017) Bring your leftover Halloween candy to put a smile on the faces of our deployed Service members and First Responders. 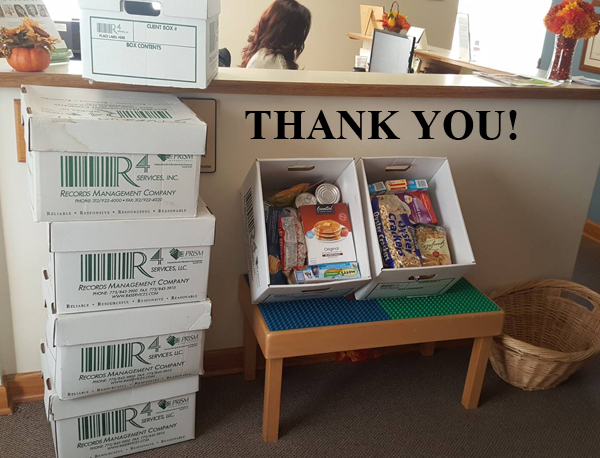 We’re collecting candy for Operation Gratitude. 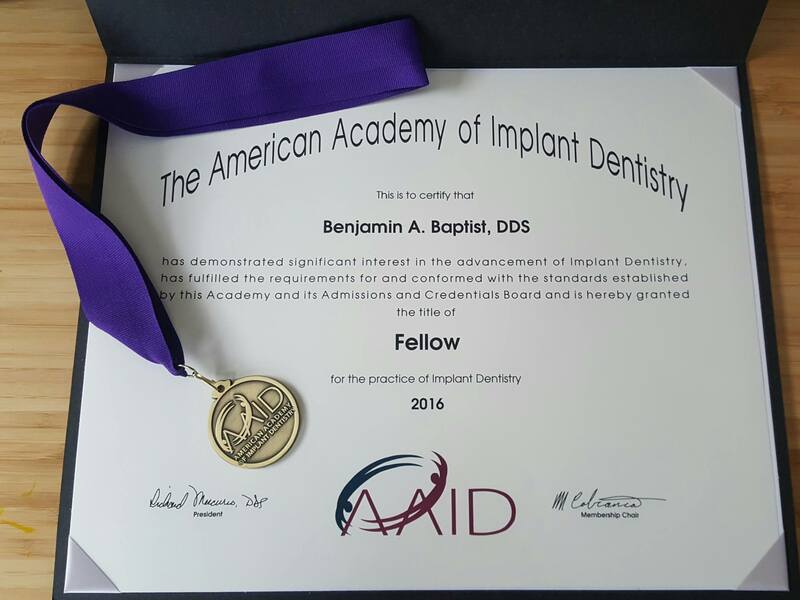 (12/2016) Congratulations to Dr Ben for earning one of the the highest certification for dental implants and the honor of being inducted as a Fellow of the American Academy of Implant Dentistry. very successful 8th Annual Baptist Family Dental Food Drive. SAN FRANCISCO (6/20/2015)—The Academy of General Dentistry (AGD) is pleased to announce that Benjamin A. Baptist, DDS, FAGD, of Chicago, IL, received the association’s Fellowship Award during the AGD 2015 annual meeting, which took place June 18 to 21 in San Francisco. The AGD Fellowship Award is presented to dentists who seek to provide the highest quality dental care by remaining current in their profession. To earn this prestigious honor, Dr. Benjamin Baptist completed 500 hours of dental continuing education, passed a comprehensive written exam, and fulfilled three years of continuous membership in the AGD. As a Fellowship Award recipient, Dr. Benjamin Baptist joins more than 6,600 active AGD Fellows who have gone above and beyond the basic requirements to care for their patients’ oral health. Dr. Benjamin Baptist graduated from University of Illinois at Chicago and currently practices dentistry in Mount Greenwood, Chicago. He and his wife, Diana, have two children, Alexandra and David. 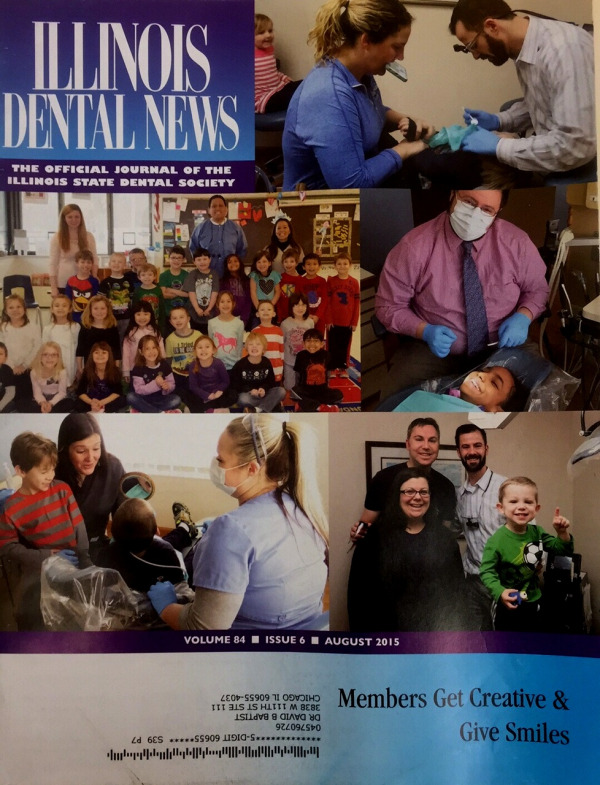 The Illinois State Dental Society features Baptist Family Dental's participation in "Give Kids a Smile" day held annually in recognition of National Children's Dental Health Month. Dr. Ben and his wife Diana, welcomed in one of the newest members to the Baptist Family: David was born August 7th, 2014! In 2012, Dr. Brian and Dr Ben completed a 1 year advanced continuing education program in comprehensive dental implantology at the Georgia Health Sciences University in collaboration with the American Academy of Implant Dentistry! 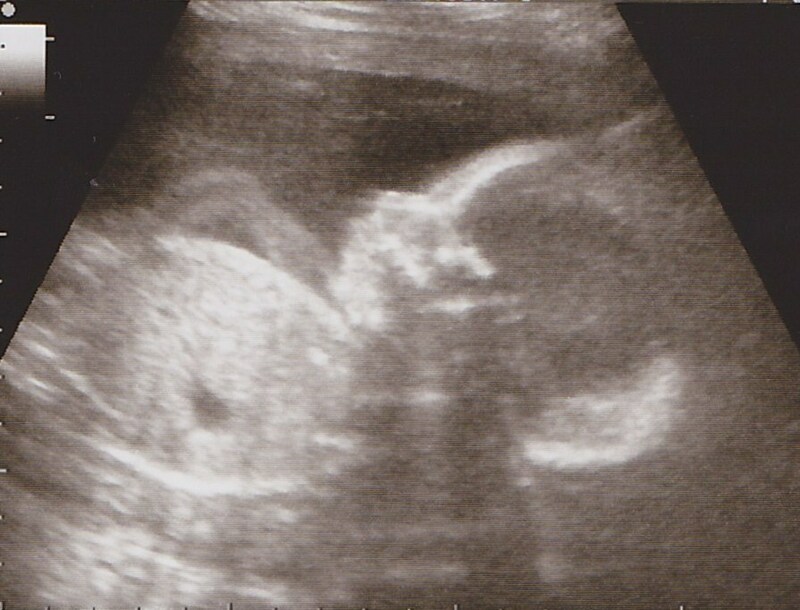 The Baptist family welcomed their newest addition, a Happy and Healthy baby girl, Alexandra Marie Baptist in January 2012! 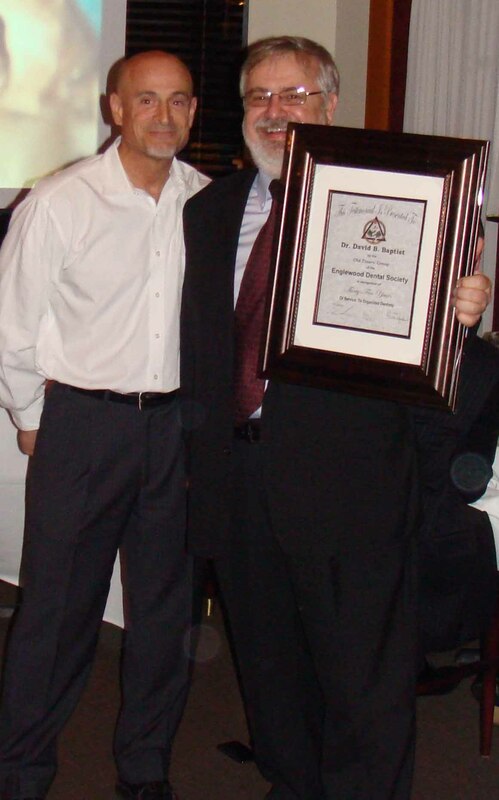 Congratulations to Dr. Dave on 35 years of service to Organized Dentistry! Dr. Dave was recognized for his contributions by the Chicago Dental Society at the Englewood Branch Meeting on November 8th 2011! Dr. Ben and his wife, Diana, are excitedly awaiting the arrival of their first child. Baby's birthday is expected to be around January 7th! This will be Dr. Dave's first grandchild!